Have you ever wanted desperately to hear from the Lord but it seems you get nothing but silence? Or perhaps you’ve experienced the opposite – messages coming at you from every direction but you don’t know how to weed out the voices of the world from the call of the Lord? Seeking a message from God is a desire that spans all eras, all races, and all religions, really! We all feel a longing to hear the voice of God. In fact, we were created to be in relationship with our Creator! He has designed us with a God-sized hole that only He can fill. Hearing God’s voice is a challenge, even for the most devout followers of Christ. Now, maybe I should clarify that most often, we aren’t talking about hearing an actual, audible voice from God. God speaks to our hearts through the Holy Spirit. The Spirit gives our hearts impressions, through thoughts that pop into our minds that we know were not our own, and of course, through Scripture, our pastors, and other biblical teaching we receive. Sometimes I think about how nice it must have been to live in the days of Abraham or Moses, when God visibly and audibly made His presence known! But even then, our Bible heroes still questioned God’s voice and failed to heed His call at times. When God gave Moses his call, Moses responded with far more “But, Lord!”s than “Yes Lord!”s. I think this reveals the true fact of the matter that, much of the time, (as much as I don’t want to admit it! ), the challenge lies not in hearing God’s voice, but in obeying God’s voice. 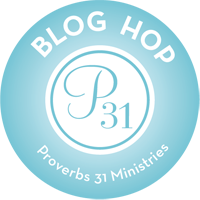 I recently began an online Bible study through Proverbs 31 Ministries. During the school year I’m involved in Bible Study Fellowship (BSF) and my husband and I also attend a weekly couples’ small group through our church. But while both Bible studies are taking a summer break, I wanted something to keep me accountable to being in God’s Word each day. I came across this online Bible study that is going through the book What Happens When Women Say Yes to God by Lysa Terkeurst. The book happens to be from one of my favorite authors and a book I read and was really challenged by last summer. It is all about hearing God’s voice and pursuing obedience to His call at all costs! I have given the book to family members and saw the online Bible study as a great opportunity to encourage them to read it and give us a chance to study God’s Word together – even though we live hundreds of miles apart! It’s a great example of using technology for God’s glory! 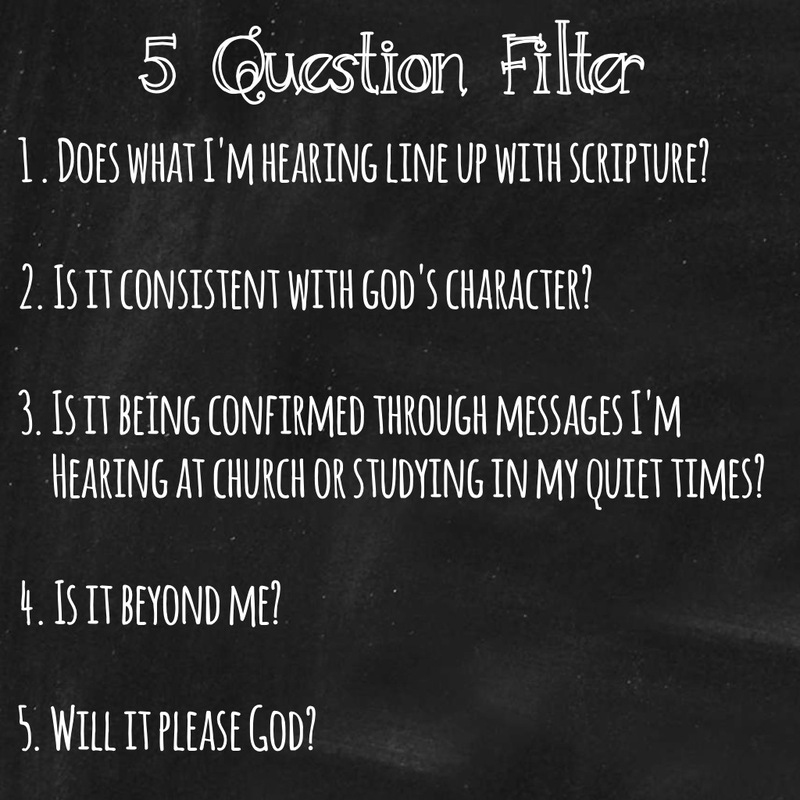 This week we’ve been in the 2nd chapter of the book, “Hearing God’s Voice”, where Lysa TerKeurst shares what she called the Five Question Filter. She gives 5 key questions to ask ourselves as we seek to determine if the messages we are receiving are from God, or not. The idea is to go through the questions, in order, one at a time, to help discern God’s will. As you can see, the first question requires us to be familiar with Scripture. If the message we are receiving contradicts Scripture, there is no need to go any further down the list of questions – God NEVER contradicts Himself, so He won’t ask you to do something that goes against His Word. Like the first question, the second question requires us to know God’s character. The more we dig into God’s Word, the more we will come to know Him and His character. We can then compare what we are hearing and reading in our quiet times with the messages we are hearing at church, or getting from other biblical teachers we respect. Once you’ve made it through questions 1-3, the last two kind of naturally follow. 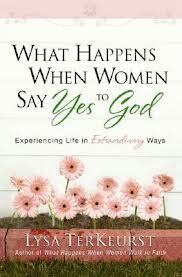 You’ll have to read What Happens When Women Say Yes to God to get the rest of the good stuff from Lysa! If you are struggling, as I often do, to recognize, hear, or obey God’s voice, the best place to start is with the Bible! September is around the corner and Fall is a great time to get connected in a Bible study if you aren’t already. There are so many options! • Visit a Bible Study Fellowship class – with more than 1,000 classes in 38 countries, odds are there is one near you! This year’s study is the book of Matthew – a great place to begin! Lysa always says you have to “get into God’s Word and let God’s Word get into you!” Being in Bible study with other believers gives us the accountability we need to move beyond just hearing God’s voice to applying His Word and obeying His call. Are you ready to say, “Yes, Lord!”? I am! Share your stories with us! Tell us about a time you heard God’s call. What was the result? Or maybe you are seeking to hear God’s voice regarding a current situation in your life. Let us know how we can pray for you and encourage you as you seek to follow His will. Last month I wrote about how to grow your own tomatoes. If you missed that post, check it out HERE. As of this month, my two little plants have produced over 20 tomatoes! So, with all these tomatoes, I need to find a good use for them! Of course, I can always chop them up and freeze them to use in sauces later, but I’d also like to try and eat a lot of them fresh out of the garden! First, begin to prep your ingredients. 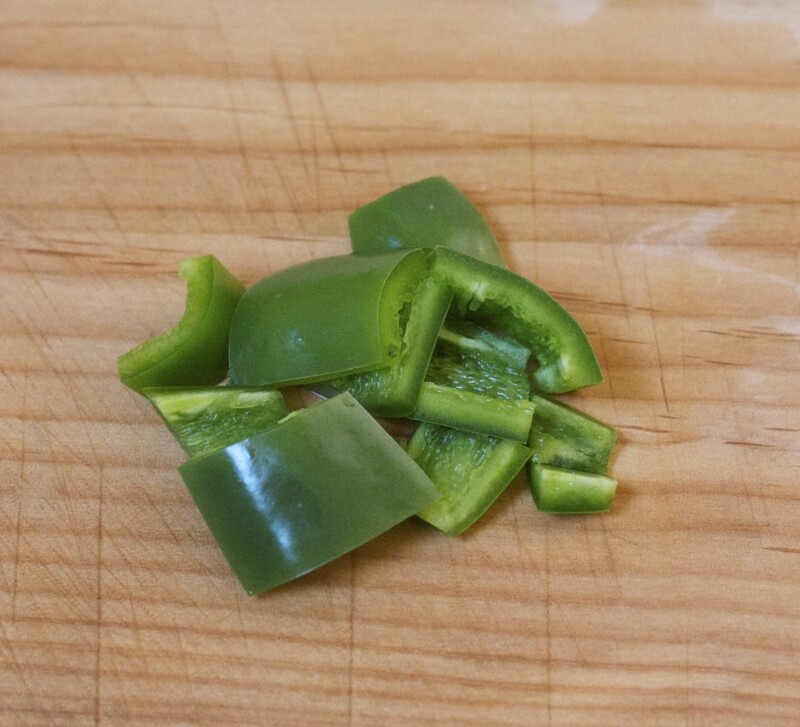 For mild salsa, cut the jalapeño in half, remove the seeds and ribs before chopping it, and only use 1/2 of the jalapeño in the salsa. Alternately, if you like your salsa spicy, you can add more of the jalapeño – up to the entire pepper. Or, for extra spicy salsa, leave some to all of the seeds and ribs. Most of the heat in a jalapeño is in the seeds and ribs, so leaving them in will really give it a kick! 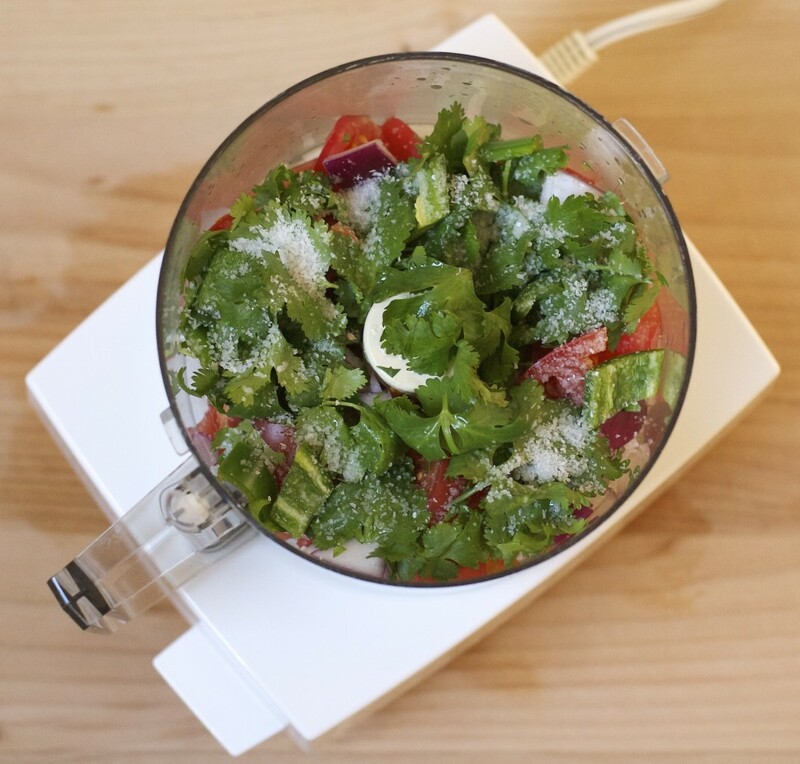 Pulse at least 3 or 4 times (1 second pulses) to more finely chop and combine the ingredients. 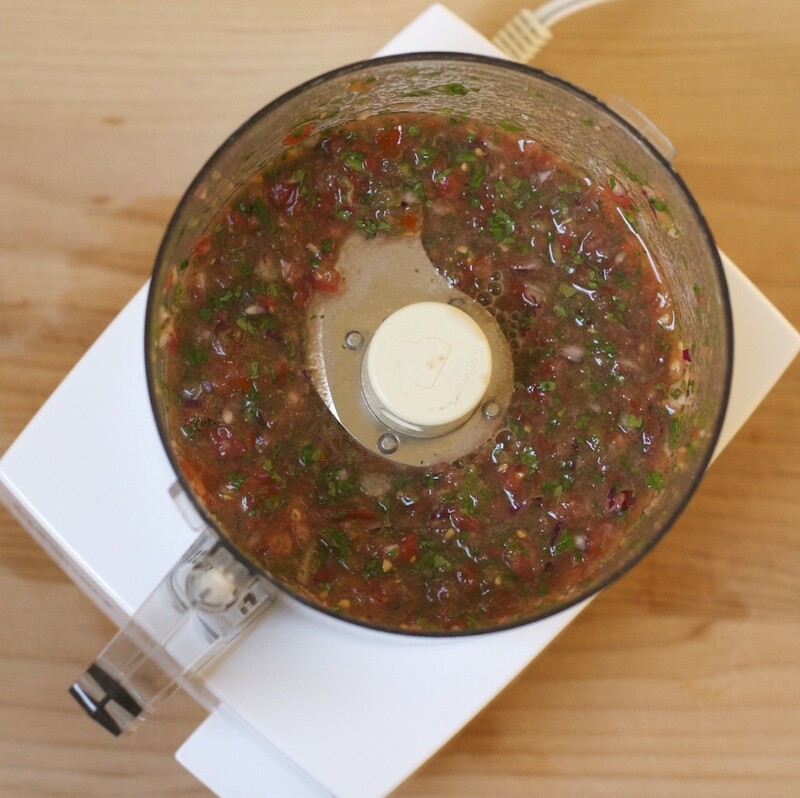 If the salsa still isn’t diced finely enough for you, continue pulsing until everything is as small as desired. Finally, taste the salsa to see if you’ve added enough lime juice. If not, use a spatula or large spoon to mix in a little more at a time, tasting the salsa after each addition. Transfer your salsa to a small to medium serving bowl. 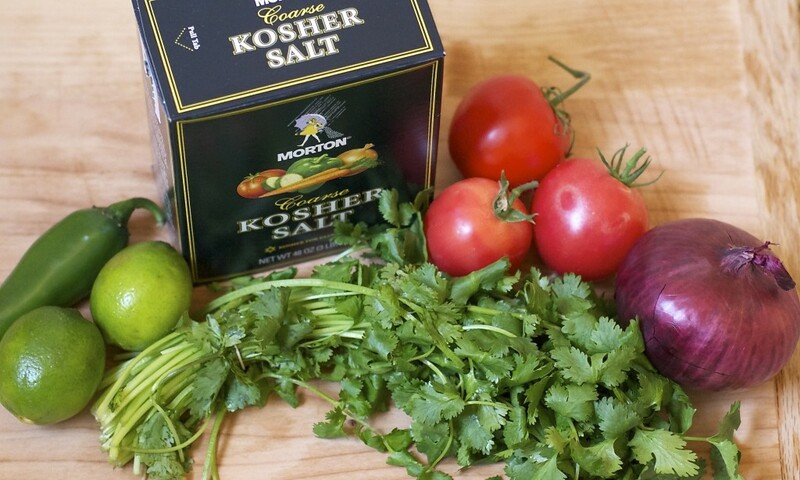 Serve immediately, or to chill the salsa, refrigerate it for at least a couple hours before serving. 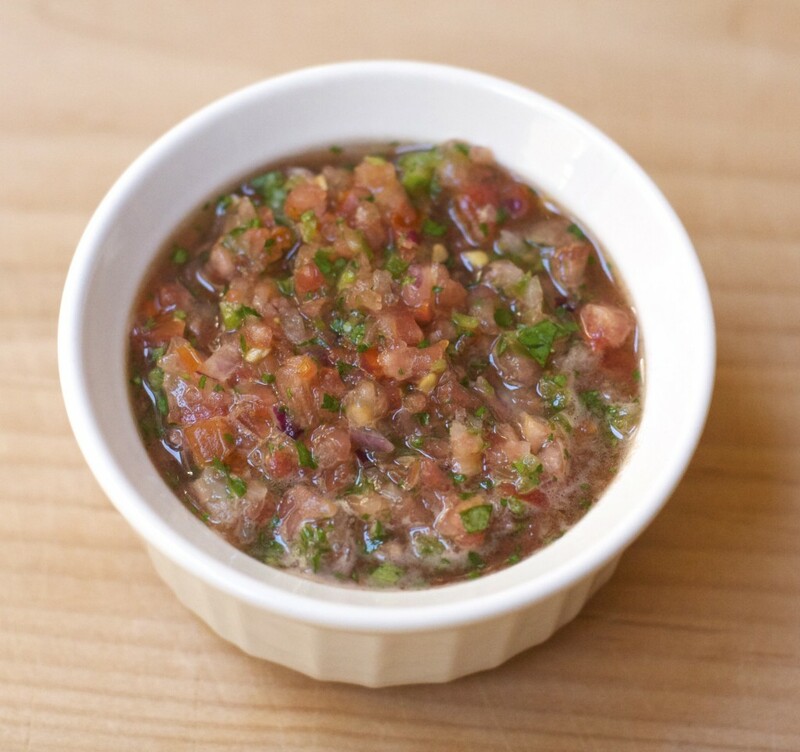 Do you have a favorite salsa recipe? 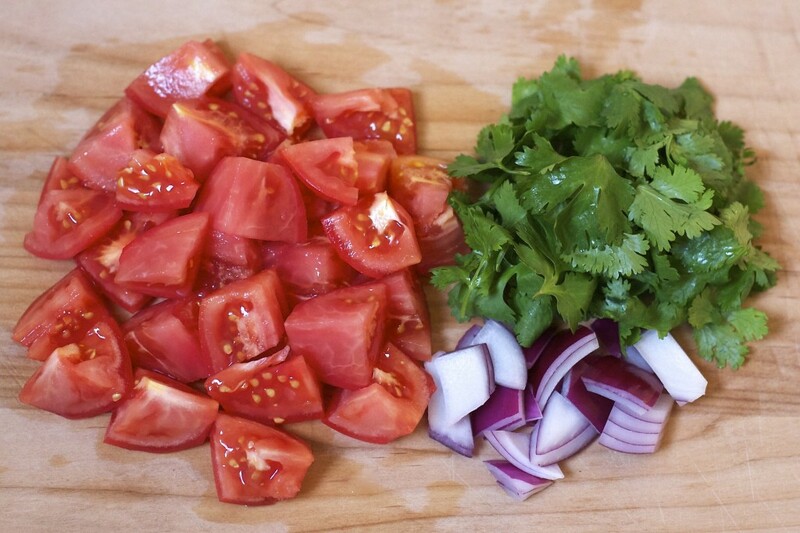 Or, do you have another favorite way to prepare and eat fresh tomatoes? We’d love to hear all about it! As promised, I’m back with the last half of my list, Molly’s Top 10 Worship Recommendations. If you’ve missed Part 1 and Part 2 of this series, you can catch them HERE and HERE. To recap quickly, here are #1-5. 1. Input is related to output. 2. Get a free subscription to Pandora Internet Radio. 3. 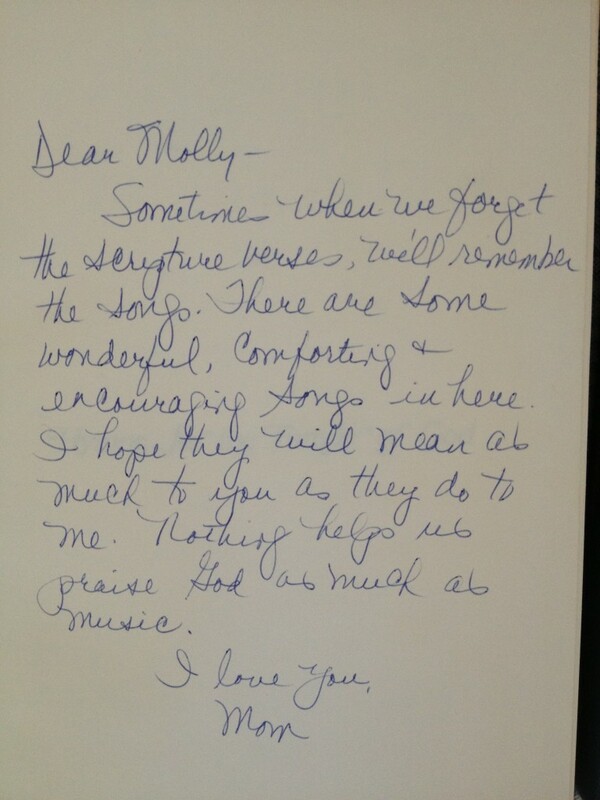 Find some worship artists that inspire you and make your heart sing. 4. Keep your worship music selections fresh. 5. Find worship songs that directly quote Scripture. 6. Get the kids excited about praise and worship music at a young age! I’m always looking for good praise music for kids. It’s especially important to find music that will grow with them. While they are little there isn’t much competition for their attention in the music world and we can pretty much control what they listen to. But as they get older and have more influences from friends, media, and what’s playing in the mall…it’s crucial to find music that will engage them with a Gospel message! My kids are still pretty little (5 and 7), so they are still loving Jana Alayra, Go Fish Guys, and Psalty (I know I’m definitely dating myself with Psalty! Any other kids of the 80’s out there?? Yes, he is a little hokey, but he is still around and I love that my kids can enjoy the praise songs I grew up with!). I have to give a special plug to the Go Fish Guys, who may be a little less known. I stumbled upon this group as a freebie song at the end of parenting audio magazine CD. They are awesome! Their tagline is “Great music for kids that won’t drive parents bonkers!” – and its true! 7. If you play a musical instrument, learn some popular worship songs. Using your musical talents to God’s glory will bring joy to your heart, bless your home, and who knows…maybe even one day bless your church! Now, sadly, this one doesn’t apply to me – yet! I still have aspirations of learning to play piano at some point. However, Kevin is quite the musician and I’m so thankful we have his example and his talent for a little after-dinner worship time! 8. Buy a hymnal and some good hymn CDs. I LOVE modern praise and worship, but there is still something about those timeless hymns. Even if you didn’t grow up with them, or don’t sing them regularly in your church, you will be blessed. The lyrics of the old hymns are rich with Gospel messages that speak just as clearly today. 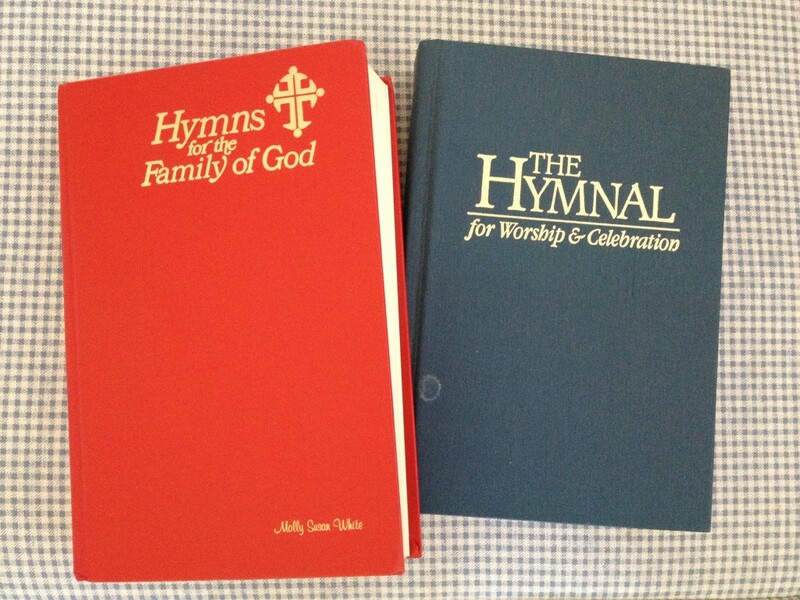 Did you know you can buy your own hymnal? They aren’t just for the pews at church! I have a little collection started. My mom gave me this one on the left when I was in elementary school and the one on the right came from the sweet little church I grew up in. About 5 years ago, sadly, the church had to close its doors and we all returned for one last church service. They told us to take a hymnal as a little memento. I love it! You can buy your own hymnal for super cheap! Here’s one that is just like my red hymnal available through Amazon Prime for just $9.95 – hardcover! My mom’s right! We often do remember the songs when we’ve forgotten the Scripture verses. I love that hymns help me remember. I don’t have much of a singing voice, but we regularly sing hymns at bedtime with the kids. So I’m thankful to have a few great hymn CDs in my collection. Chris Rice’s “Peace Like a River: The Hymns Project”, Bart Millard’s “Hymned” and “Hymned Again” and Jadon Lavik’s “Roots Run Deep” CDs are among my top favorites! 9. 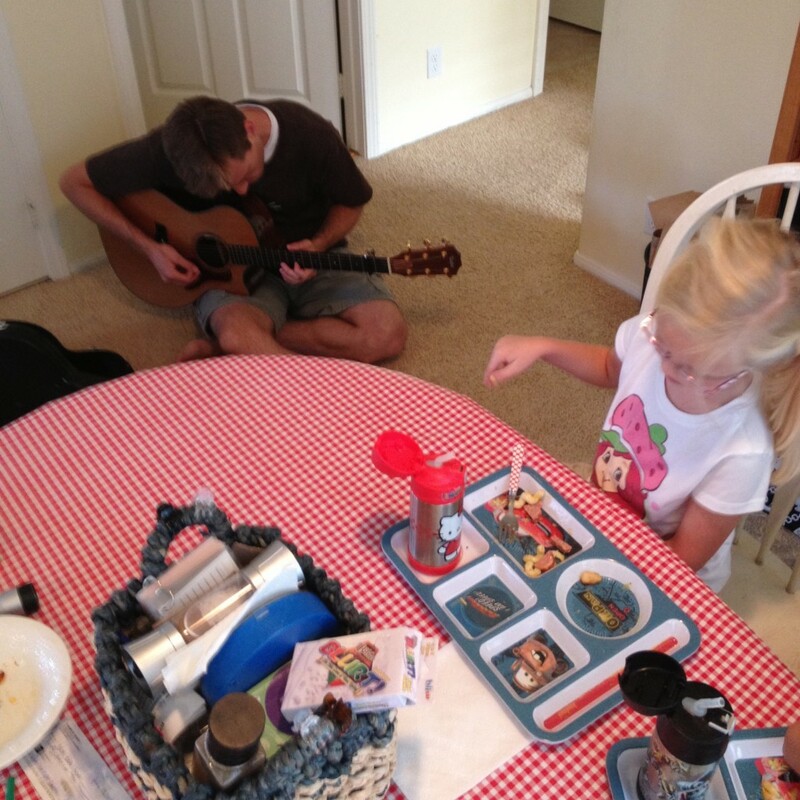 Don’t be shy about playing worship music in the home when nonbelievers are present. Having some uplifting praise music playing in the background can be a great testimony to workers in the home, teen classmates, and neighbors. We’ve actually had some great conversations with people in our home who notice the music playing and ask about it. Be sensitive, however, if you are living in a home with unbelievers, like an unbelieving spouse or roommate. You don’t want to compromise your testimony by blasting them with Bible songs! I believe some people have more of a natural heart for worship than others, just as some of us are more naturally wired to want to sit down and study Scripture. Both are vital to our Christian walk and growth and we would do well to learn from one another! I am more of a Bible study girl and Kevin is a worshiper through and through! I’m thankful God has paired us together to strengthen our weaker sides. I’m constantly seeking to grow in both my understanding of worship and my ability to practically apply worship in my daily life. 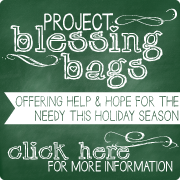 I’m sure you have some great tips, favorite worship artists or albums, and thoughts to share! Let us know what you do to keep your heart and home filled with worship, or tell us what new tips you’ve picked up from our blog today. We always welcome your thoughts!